Reputation, reliability and results mean much to Vincent “Vinnie” MacDonald’s Boston-area drain cleaning business. So do the right tools. “We tackle really tough jobs no one can handle,” the Rooterman franchisee says. “Customers know that we combine first-rate talent with first-rate tools to solve problems – permanently. And General gives us the equipment to do just that.” The New England pros diagnosed, pinpointed and solved the problem by teaming three pieces of General Pipe Cleaners equipment – a Gen-Eye® video inspection/location system, a Rodrunner® sectional cable drain cleaning machine and a JM-3000™ gas-powered water jet. 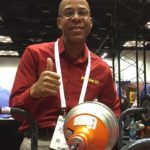 For the biggest, meanest drain cleaning jobs in Columbus OH, locals trust Ron Zimmerman, owner of R&B Sewer & Drain. R&B subcontracts drain cleaning services for nearly 30 plumbing companies within 100 miles of Ohio’s capital. And those professionals routinely tap R&B for their most challenging drain cleaning emergencies. “Our phone answers 24 hours a day, seven days a week” Zimmerman notes. “And our four crews have earned a reputation for honestly doing jobs right – the first time.” Zimmerman counts on durable, reliable drain cleaning and inspection solutions from General Pipe Cleaners. And his main weapon on tough, big-line jobs is the JM-2512 Typhoon™ trailer jet. “I don’t want competitors to know I use this tool. Some customers think I have super powers!” That’s Omar Taylor talking about the lightweight, compact Kinetic Water Ram™ from General Pipe Cleaners. 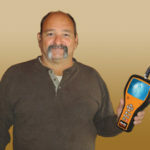 The innovative tool safely, quickly and cleanly clears clogged sinks and showers, toilets and tubs with Kinetic Energy. And it’s given the young, Indiana-based plumber a clear competitive edge. Kinetic Water Ram™ Solves Impossible Problem – Again! Kids do the darndest things – like stuff pea gravel into new underground conduit for residential outside lighting. That’s what Bob Shumway – owner of Shumway’s, a Rockford, IL maintenance & landscaping service – discovered when snaking electrical wiring through the buried pipe. “I tried fish tape – but couldn’t get past the pebbles!” he recalls. That’s when Shumway grabbed his lightweight, compact Kinetic Water Ram™ from General Pipe Cleaners. General’s JM-3080 Water Jet Solves A Dam Tough Problem! Blockage of a critical 5” overflow pipe beneath a large artificial lake at Dospat Dam, Bulgaria, posed extreme danger to dam wall integrity – risking catastrophic failure. Over 50 years of hardened sediment and debris had accumulated. Drainage reduced to a trickle. And construction of a new removal conduit proved unfeasible. That’s when Double D Engineering Ltd, European specialists in industrial cleaning technologies and services, stepped in – with an “outside the box” idea. “Economics and facility condition forced us to work with the existing pipeline,” Dimiter Dimitrov, company manager, noted. 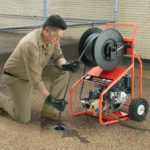 “So we opted for a compact, portable water jet solution.” The JM-3080 gas water jet from General Pipe Cleaners.